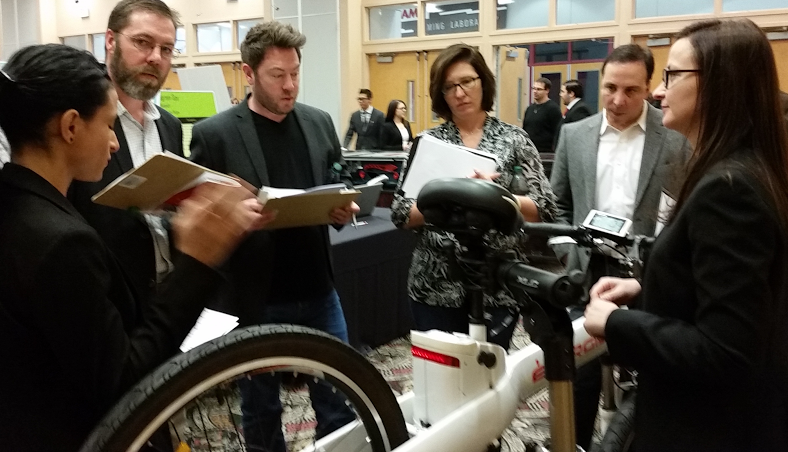 GroupGets' CEO Ron Justin traveled to Las Vegas to be one of four judges for the University of Nevada, Las Vegas (UNLV) Howard R. Hughes College of Engineering's Senior Design Competition earlier this week. A working project is mandatory for graduation in the college so it is a pretty stressful yet exciting event for students to manage along with final exams. Accompanying Ron was Gemma Guy of Tait Towers which is an entertainment industry heavyweight, Kevin Love of Carollo Engineers who are responsible for working wonders with water in the desert, and Les Ottolenghi, former CIO of Las Vegas Sands Corp, active tech entrepreneur, and film producer/director. Each senior UNLV student chooses, plans, designs, and prototypes a product for the College of Engineering curriculum. This design project encourages the student to work collaboratively within the engineering and computer science programs to create a practical, real-world solution to an engineering or computer challenge. Some projects are even submitted by corporate partners. The senior design competition then helps students to focus their efforts on increasing the quality and potential for commercial application of their design projects. Judges from a wide spectrum of industry are asked to evaluate the projects on innovation, commercial potential, and presentation quality. GroupGets' own CEO is an UNLV alum and was honored to serve as a judge. He helped choose one overall winner, as well as winners from each category, all of whom were awarded sweet prizes. Most of the prize money comes from a generous donation from Fred and Harriet Cox (of Cox Communications) to the program. 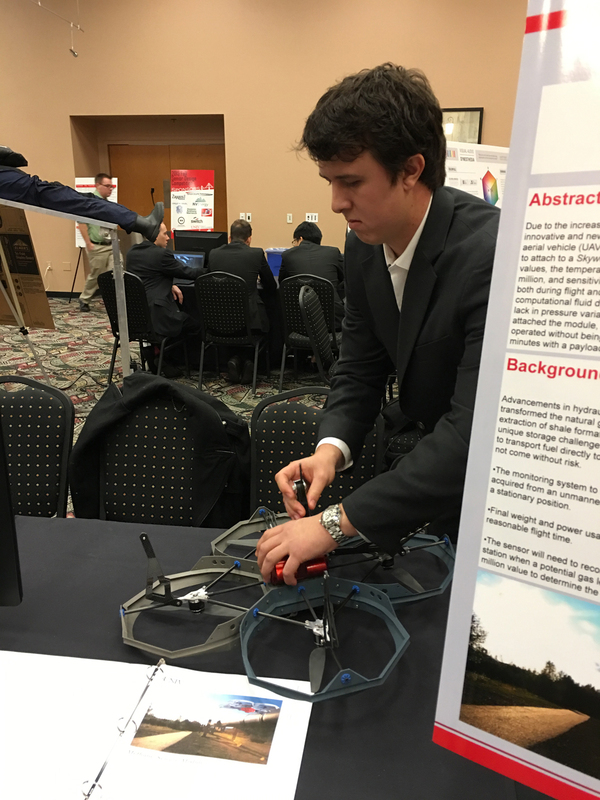 Friends of GroupGets and also UNLV alums, Las Vegas-based Skyworks Aerial Systems, had their Quark drone appear in two different projects - one was a fully functional airborne radiation detector and the other a methane gas sensor. We love seeing their drones pop up wherever we go. Luckily, we also got to catch up with some Skyworks team members. An impressive battery system was built by a formidable team of two engineers for an electric bicycle. The battery pack that they were working with was no joke either - lots of energy to safely contain and control! A group of students made this fun rollable DIY battle station. It was only missing a kegerator, for those late-night "study" sessions. We hope this team sticks with their design because we'd love to have one in the GroupGets HQ. While in Las Vegas, Ron checked out a popular local startup that's changing the way the world views keychains and everyday carry objects. KeyPort creates a unified key holder, organizer, and multi-tool that is customized to fit your needs. This compact slide device consolidates the bulky jingle of a janitor's key ring into a sleek tech gadget. Ron came back with his customized Keyport Slide 2.0 that included 64Gb of USB 3.0 memory, a pen, and a flashlight. There are a ton of other accessories and customization options to choose from. It's lightweight and feels great in the hand and pocket. They have some really exciting announcements coming in early 2016 so stay tuned and check them out. They will also be at CES so you could get your hands on them there. We'll be there too! 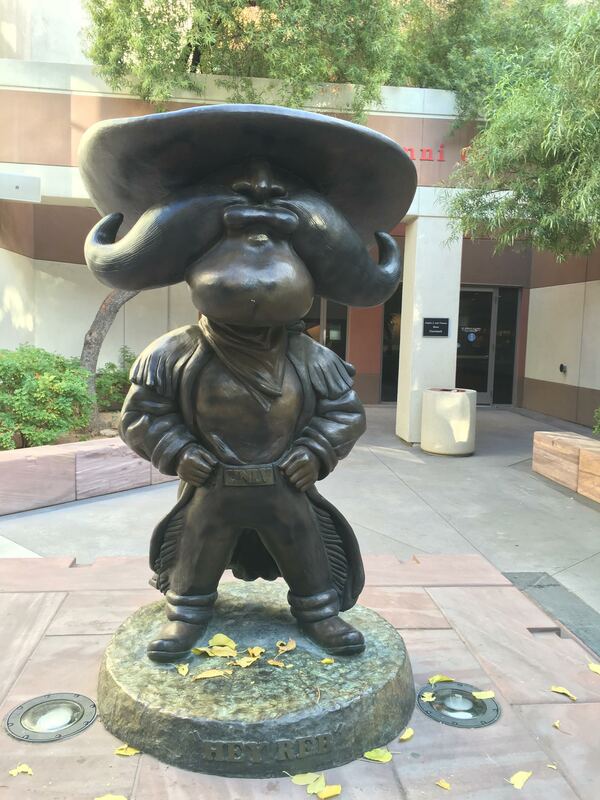 Overall, our fearless GroupGets leader took a trip down UNLV memory lane and made new friends in the Vegas tech industry. 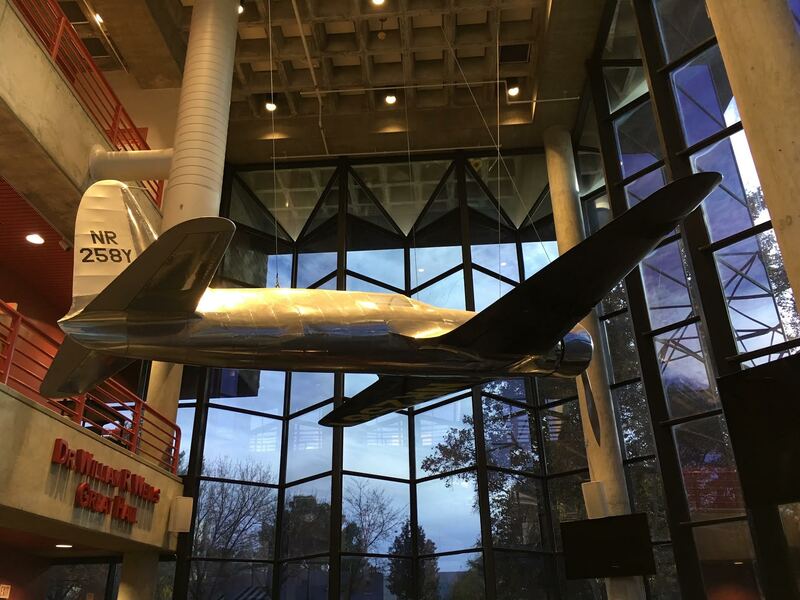 Ron revisited UNLV's Engineering study hall and reminisced under this replica of one of Howard Hughe’s racing airplanes.